Security Cameras, Web Production and much more. We see our approach as so simple it’s revolutionary. Instead of focusing on the tech, we focus on the people. With expertise that ranges from web production, on-site computer repair and maintenance to structured cabling and build out, our only limitation is ‘what does our client need’. Let us take your business to the next level! Our remote repair service makes it easy for everyone with computer problems no matter where you are in the world. We offer Fast On Site Service For your Home or Business as well as Pickup & Delivery. Our tech experts are fast, efficient and want to get you back up and running as quickly as possible! We are Laptop Repair Experts, Screen Replacements, DC Jack Repair, and more! Our technicians can come to your business and get things back up and running fast! We also offer a full range of IT solutions for both your home and business needs. Our professionals will work closely with you to bring your vision to the web. Services include, SEO, custom photography, content analysis and much more! We are a complete outsourced IT Department for your business! Stay ahead of the competition, and stay away from costly downtime caused by viruses, updates, slow running computers, and error messages. Structured cabling is the wiring infrastructure that runs throughout your building and offices that provides your data, telecommunication, voice, security, VOIP, and many other internet and computer network services. It includes everything from wall plates and jacks, to the wiring, ports, and connective hardware. Some of our greatest clients & projects. We wired this client’s new office using color-coded cables to match their company colors. As with all of our jobs we made sure the cables were neatly run overhead, in walls, and through the floor. It was more important here, though, because some areas had exposed ceilings which showed the cables. 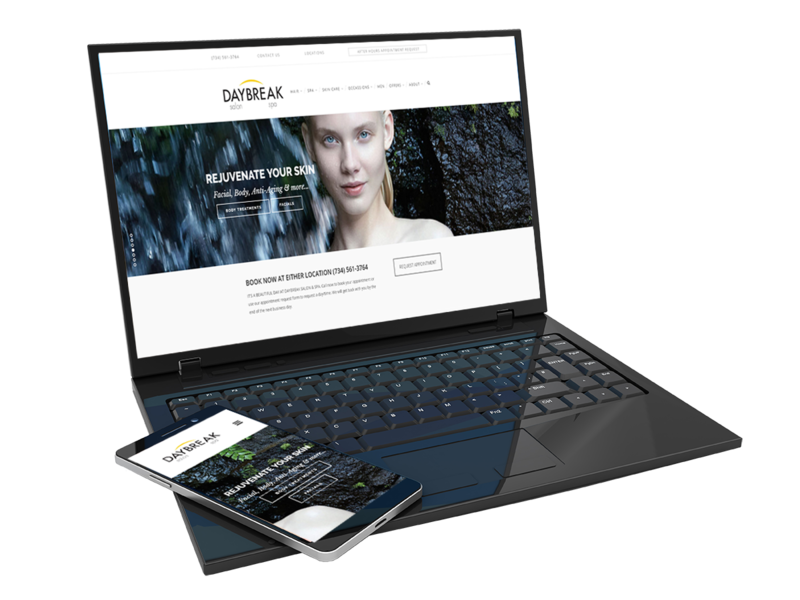 With the Daybreak Salon project, we brought the look and feel of the interior design of the salon location to the website. In most cases, new clients will see the website before going to the actual location so it's crucial to give users the same experience with what you've built in brick and mortar to the web! Here we see part of a larger project that required us to pull cabling through tubes that were cemented into the floor. The cables ran from the server room to offices, cubicles, and even a two-story conference room pod. 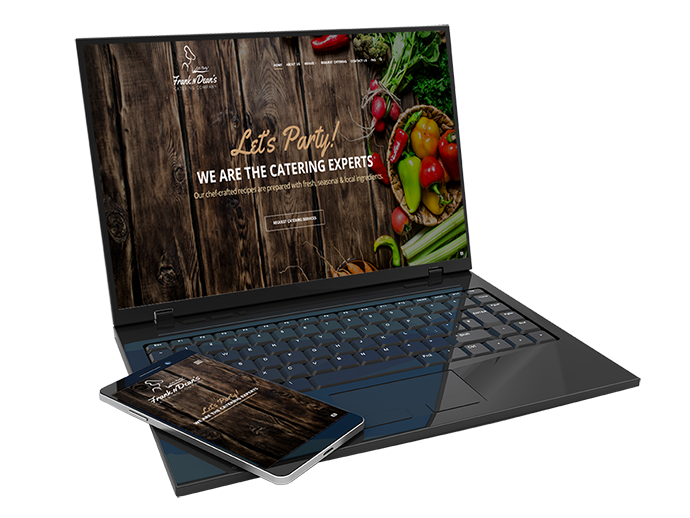 With the Frank N Dean's Catering Company project, we brought the owners spark and vibrant personality to the website. We also shot custom photography on location of the amazing dishes they serve to give the clients a real visual of the delicious entrees. Keyworth Stadium needed wifi coverage throughout the entire facility for ticket sales, vendors, and media. We designed and installed a solution that covered everything, both indoor and outside. 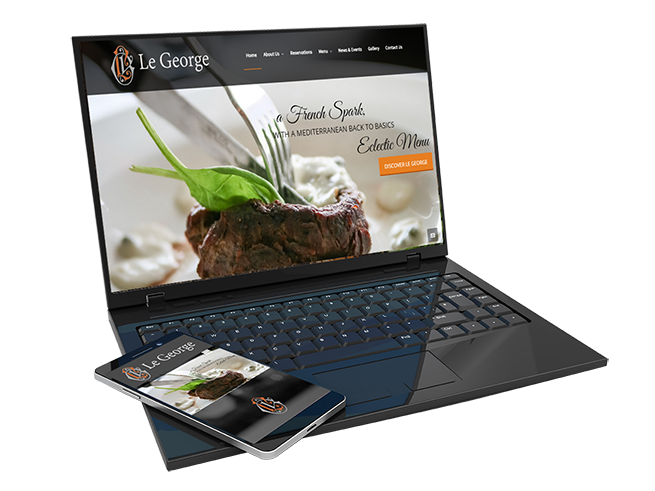 With the Le George project, we shot all the photography on location to bring the elegance and ambiance to the website. We recommend using your own photos when possible to give your patrons use a true glimpse of who you are. We pride ourselves on doing clean and organized work. Even when the cabling will be hidden in walls and ceilings, it is important to us and our clients that we not leave a tangled mess. Stay worry free, focus on your business while we take care of the IT! Focus on your business while we take care of the technology!